Chris Conley of Saves The Day has been doing a lot of thinking lately — about how he ended up here and what it all means. Saves The Day’s latest album, “9,” on Albany’s own Equal Vision Records, covers the group’s rise from the suburbs of New Jersey to the stage at Madison Square Garden and MTV. Fans who have followed the band for the past two decades might even recognize themselves in the songs, which also confront fame, the band’s inner turmoil, success and the future. There have been a lot of highs and a lot of lows in Wayne Kramer’s life — and he spends time on both in his raw new autobiography: The Hard Stuff: Dope, Crime, the MC5 & My Life Of Impossibilities. The founder of the short-lived but influential rock group the MC5 is one of Rolling Stone’s 100 greatest guitarists. He has released several solo albums and worked on scores for films and TV. You’ve probably heard the band Hanson do a lot of things over the past 25 years: chart-topping pop anthems, live albums, even Christmas music. But now the brothers from Oklahoma are exploring a whole new approach. The band’s new double album “String Theory” features new songs and old hits with symphonic accompaniment. Not only that — the brothers have also been taking the show on the road, performing with orchestras around the world. Joining us to talk about the group’s latest effort is multi-instrumentalist and vocalist Taylor Hanson. Oliver Wood On Wood Brothers' Tour, New Album "One Drop Of Truth"
With a new album, “One Drop Of Truth,” due out three days later, The Wood Brothers will be coming to our region January 30 for a concert at The Egg in Albany, part of a national tour. The flurry of activity comes on the heels of the group’s recent release “Live At The Barn,” recorded just down the road from here at Levon Helm’s venue in 2016. Albany, NY – Ian speaks with Chris Conley, lead singer and rhythm guitarist in Saves the Day, which plays at Northern Lights in Clifton Park June 7th. 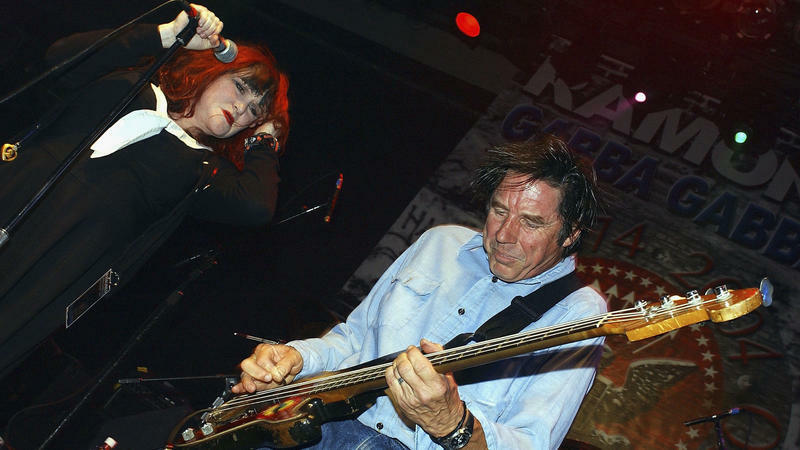 As a co-founder of the band X, John Doe helped define the punk scene that emerged in Los Angeles in the late 1970s. Doe tells Fresh Air's Terry Gross that punk was about breaking rules and challenging the norms of the existing music scene.